Which head did the mythical dog use to lick itself, and did the others take offence at the time? Of course if the dog had only one head there wouldn't be a problem. It's the duplication which introduces it. Think of a simple computer program designed to execute a series of functions before reaching the command 'stop.' If another 'stop' is inserted earlier in the flow of instructions the program should still run and dutifully end at the new stop point. Whatever else might otherwise have happened afterwards can be ignored, because it will not now have the opportunity to play out. If, on the other hand, the intention were to expand the program, so as to run beyond the original stopping point, then this moment must somehow be by-passed and, to make any sense of the duplicate 'stop' instruction, additional events written in. So if you're telling a story and throw in an early closure (who hasn't? "And they lived happily ever after. Night night." Lights out. ), there is no problem. Irrespective of what might have come next, it simply doesn't. The story's over and nothing more needs to be accounted for. But if you want to take the listener beyond chopping down the giant beanstalk, say, then you have to account for the aftermath, and that means filling time with additional events. The McCanns and their entourage have clearly filled in a number of events to occupy the time before Madeleine's reported disappearance, with duplicated photography of Madeleine at duplicated Mini-tennis, duplicated late-night crying and a duplicate trip to the beach, to say nothing of duplicate sightings of her at different locations. All of which can mean only one thing - that the conclusion to this story is an 'add on' and that the genuine ending is somewhere to the left of centre. 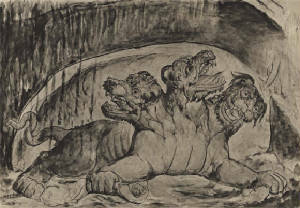 The Cerberus Problem can arise in connection with absolutely any sequence of inter-related events, be they associated with a computer program, a bed-time story or a football match. It is logically independent. It is also logically sound. There is one circumstance alone which requires the introduction of additional events to fill the extra time, and that occurs when the overall period is extended to meet an additional conclusion. As an explanatory tool the 'problem' can be applied just as effectively to the events of a holiday, and that includes the May 2007 holiday in Portugal experienced by the McCanns and their friends. Kate McCann's book 'Madeleine,' her 'account of the truth,' entails the displacement of documented activities (documented in the police files) by 24 hrs. (Tuesday to Wednesday, Monday to Tuesday). That is beyond dispute. She also flatly contradicts previous evidence given by her friends Rachael Oldfield and Jane Tanner, as well as documentary evidence of her own in respect of events during this period. The inconsistencies are such that 'invention' on somebody's part becomes the only rational explanation. With events progressing toward an unexpected conclusion, there should be no need whatsoever to fabricate activities beforehand. Things simply take their course. The fact that they have been so fabricated points to the conclusion of the Madeleine McCann story, as understood, to be an 'additive.' And since it is this afterthought alone which encapsulates Madeleine's 'abduction' (there is absolutely nothing in the preceding story which even hints at it, except in the vivid imagination of the author) we may conclude that Madeleine McCann was not abducted. The abduction conclusion is added don't forget, and Madeleine's disappearance was not announced previously. There will undoubtedly be those who will wish to argue that the story of Madeleine McCann's abduction is somehow immune to the demands of logic. Those same people would no doubt advocate the dismissal of Pythagoras' theorem and drawing a line under civilisation as we know it. Though Madeleine McCann may have disappeared from the face of the earth, her parents are still very much with us, their behaviour subject to exactly the same constraints of physics, and logic, as the rest of us. So it would appear the well respected Dr Martin Roberts over seven years ago, had the perspicacity to acknowledge the compelling evidence that Madeleine McCann disappeared well before 10:00pm on Thursday 3rd May 2007. Remind me, has anyone ever vilified the well respected Dr Martin Roberts for daring to look beyond the accepted storyline?